Phone Case Printing Machine is a multi-purpose printer fully developed by Maxcan, which employs print head with 3.5PL nozzle diameter and integrate core technology of large format printer. Phone Case Printing Machine features in large format printing, high speed with double print heads, high resolution and stability, low maintenance cost and adaptable to various environments. When the ownership of Phone Case Printing Machine is yours, human cost would be greatly saved, productivity of other kind printers will be doubled or above. Phone Case Printing Machine helps you to gain an advantageous position in market with low cost of consumables including print head and ink. 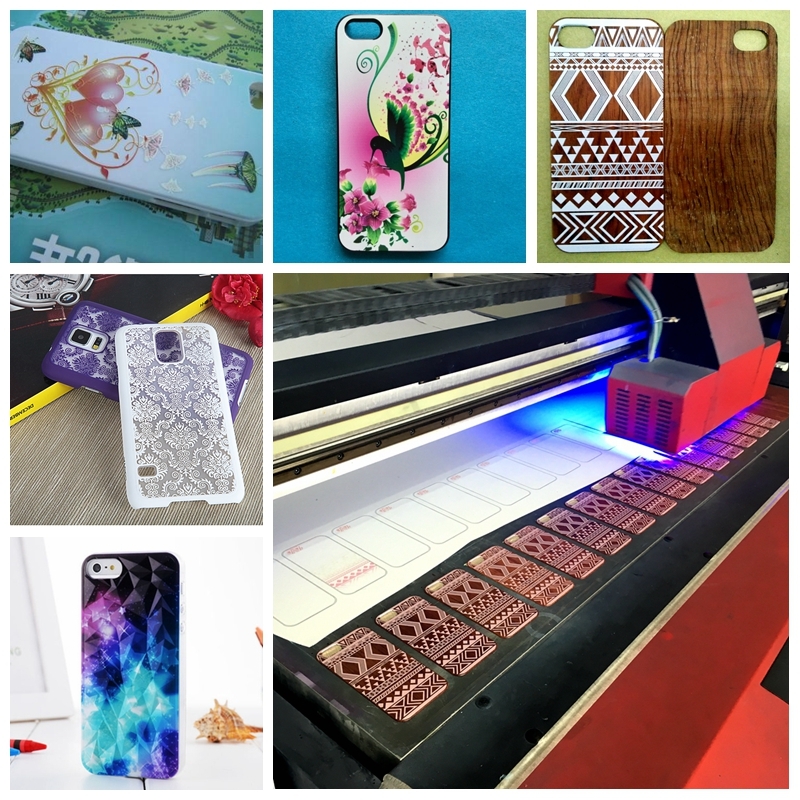 Phone Case Printers, Phone Case Printing Machine,Phone Case Printing Machine factory,Phone Case Printing Machine manufacturer, China UV flatbed printer. Printable on a wide range of substrates, generate bright color even on irregular surfaces. Employ print head with a 3.5PL diameter nozzle, printing resolution reach up to 1440 dpi, print brighter and richer color. Double print head available in 4 x 4 colors, fully meet industrial production needs. Utilize imported high quality super mute linear guide rails, high stability and precision. Apply intelligent print head carriage lifting, auto-complete lifting on the basis of substrate, stable lifting, high precision, controllable and high speed. Use continuous ink supply system, greatly reduce printing cost and increase profitability. Perfect combination of special ink elements and professional RIP software, maintain outdoor printing works long duration, clear and bright. Printing speed can be adjusted by printing resolution. Printable size up to 600mm (W) x 900mm (L). Auto adjust substrate thickness through automatic censor, restore anchor automatically when output. 1.With competitive price, it enjoys a large quantity of demands in market at home and abroad. Take most materials into consideration, it offers suitable printing dimension. 2.Combined with imported key parts such as drag chain,servo motor and so on, our professional engineer teams and considerate after-sale service teams offer printer with high-quality and high-speed. 3.All steel frame structure makes printer more stable. Its head offer highest precision printing on various materials, such as acrylic,metal,wood,glass,plastic,phone covers,MDF,melamine board,foam boards,PVC boards,ceramic tiles and so on.It can provide printing effect as mirror effect,3D effect,embossed effect and flat effect. 4.3H---High-stability,high-quality and high-speed will improve your printing efficiency with lower cost.